St. Luke Lutheran Church | ELCA congregation in Ithaca NY. Reconciling in Christ. Founded in 1913 as the Lutheran Association of Cornell University, St. Luke has served campus and community for over a hundred years. Sunday School children put on a short play during a service at the end of Advent. St. Luke is a vibrant community of teachers, learners, adults and children, sinners and saints and everyone who falls in between. We are a family in faith and our doors are open to all. 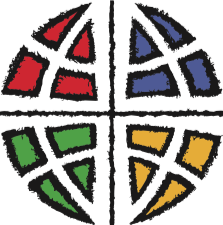 New Humanity is the official newsletter of St. Luke Lutheran Church. A new issue appears approximately with every church season. For the next year, we will be testing a new way of coordinating the faith and care. We are going to create a position of a monthly Shepherd. Announcing electronic giving for St. Luke using Givelify!